In June, 2014, Wilfredo Ramos was driving back to his Brooklyn home after visiting his mother in Lancaster, Pennsylvania when two Pennsylvania State Police troopers detoured him into a Kafkaesque nightmare from which he emerged only five months later. In the meantime, Ramos rotted in jail on bogus charges, losing his job, his car, and his apartment. Now, in a small gesture of redress, the State Police have agreed to pay Ramos $150,000 for his travails in a taxpayer-funded settlement, but the cops still admit no fault or liability. According to the lawsuit that ended in the settlement, Ramos' nightmare began when he was pulled over by Troopers Justin Summa and Kevin Vanfleet on June 6, 2014. Neither trooper said why they stopped Ramos, and the suit alleged they were engaged in racial profiling because Ramos is Hispanic and was driving a car with New York plates. Summa claimed he smelled alcohol, and Ramos replied that he had not been drinking. Summa then challenged Ramos, citing his ethnicity and place of residence. "We know you have drugs," Summa told him, "just tell us where they are." Ramos denied possessing any drugs. Summa then administered a Breathalyzer test, which came back negative for alcohol, and ordered Ramos to perform field sobriety tests, which he completed without any problem. The encounter should have ended at that point, with Ramos being thanked for his cooperation and sent on his way, since there was no evidence he had committed any crime. But that's not what happened. Instead, although Ramos had cleared all the tests and although they lacked probable cause, Troopers Summa and Vanfleet arrested Ramos for driving under the influence, giving them a pretext to search his vehicle in their quest to make a drug bust. Their search turned up nothing. The troopers then took Ramos to state police headquarters where they administered yet another Breathalyzer test, which they described as "inconclusive." The next stop was the Lehigh County DUI center, where Ramos consented to have his blood drawn to be tested. According to the lawsuit, typical practice in Lehigh County is that people arrested under suspicion of drunk driving who have no prior drunk driving arrests and where there was no accident or injuries are released pending blood test results. That didn't happen with Ramos. Instead, he was held under $10,000 cash bail -- an amount he could not raise. As Ramos rotted in jail, his blood sample was tested twice by the Lehigh Valley Health Network Laboratory, which found on June 18, 2014, that it contained no drugs or alcohol. Trooper Summa then ordered a third test of the sample, this time for a broader spectrum of substances, but again the results were negative. On the same day the test results came in, Summa testified in a preliminary hearing on Ramos' case that the results were not yet in. He did not tell the court about the negative test results. Ramos remained in jail for 158 days until he was found not guilty in Lehigh County Court after blood tests showed no illegal substances or alcohol in his system. While Ramos was jailed, he was fired from his job and lost his home. He lost his car, too: The tow truck operator notified Ramos by mail about a deadline to retrieve his vehicle, but because Ramos was in jail, no one was at his residence to receive the letter. Ramos' lawsuit charged that Troopers Summa and Vanfleet conspired to falsely arrest him despite finding no evidence that he was impaired or had drugs in his car. The lawsuit also named five state police supervisors, from the troop commander to former state police Commissioner Francis Noonan, as liable for racially motivated misconduct, unlawful seizure, violations of due process of law, denial of equal rights, conspiracy to interfere with civil rights, and other Civil Rights Act violations. While the State Police admitted no fault or liability, their willingness to settle the case speaks for itself. Attorney Joshua Karoly, who represented Ramos in the lawsuit, was magnanimous after the settlement was announced. "It was a mistake that this happened, and this resolution is going to go a long way toward getting his life back on track to where it was before this happened," Karoly told the Lancaster Morning Call. "It makes mistakes like that much less likely when they're brought to the public's attention." The Hartford, CT, city council says legalize it, a Wisconsin Democratic gubernatorial canddate attacks Scott Walker over food stamp drug testing, Colombia meets coca eradication goals, and more. Hartford, CT, City Council Calls for Legalizing and Taxing Marijuana. The city council voted unanimously Monday night to approve a resolution calling for the legalization and taxation of marijuana. The resolution also calls on the city to conduct an economic impact study and hold public hearings on the issue, as well as measures to "ensure racial equity in ownership and employment." Wisconsin Democratic Governor Candidate Rakes Walker on Food Stamp Drug Testing. Democratic gubernatorial contender Matt Flynn slammed Gov. Scott Walker's (R) plan to impose drug screening and testing on food stamp recipients Tuesday: "I condemn this in the strongest terms. First, it is hypocritical. Walker and his Republican allies claim to be against intrusive big government, but there has never been a more intrusive, big-government administration in our state's history," he said. "Second, this is foolishly wasteful of our state's limited resources. By the administration's own admission, fewer than one-third of one percent of all food stamp recipients will likely be identified as drug users. Numerous states have passed similar 'reforms' and have actually found that recipients of these programs test positive at a lower rate than the general population. These 'reforms' always cost more money than they save. Third, and most importantly, this policy is offensive in the extreme. It demeans people experiencing poverty. It is unconscionable." Kansas Couple Whose Home Was Raided in Bungled Marijuana Search Loses Lawsuit. The couple, a pair of former CIA employees who were growing tomato plants hydroponically, were raided by Johnson County sheriff's deputies searching for marijuana. Deputies zeroed in on the couple after spotting them at a hydroponics store, then searched their trash and mistook discarded tea leaves for marijuana leaves. The couple sued, alleging deputies violated their Fourth Amendment rights, but a federal jury disagreed. The couple says they will appeal. Colombia Says It Met Coca Eradication Deadline, Hints at Shift to Crop Substitution. Colombian Defense Minister Luis Carlos Villegas said the country had eradicated some 125,000 of coca planting ahead of a deadline agreed to with the US. He said the target for forced eradication next year would decline to 100,000 acres. This year's forced eradication program was five times larger than last years' and led to clashes between troops, eradicators, and growers that left at least ten coca farmers dead. A proposed Oregon initiative would legalize psilocbyin for medicinal use, Michigan regulators release emergency medical marijuana rules in the nick of time, Wisconsin takes another step toward drug testing welfare and job training participants, and more. 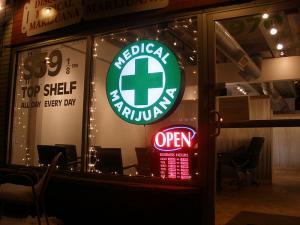 Michigan Releases Medical Marijuana Business Rules. The state Department of Licensing and Regulatory Affairs has released emergency rules governing medical marijuana facilities with just two weeks to go before the Bureau of Medical Marijuana Regulation begins taking applications. "The emergency administrative rules are designed to preserve patient protections and provide them with access to safe medical marihuana," said Bureau of Medical Marihuana Regulation Director Andrew Brisbo. "These rules also allow growers, processors, secure transporters, provisioning centers, and safety compliance facilities to operate under clear requirements." 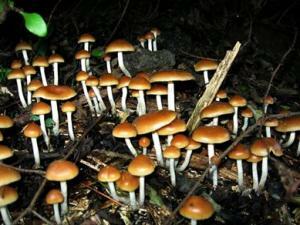 Oregon 2020 Initiative Would Legalize Psilocybin Mushrooms. A husband and wife team calling themselves the Oregon Psilocybin Society are working on putting a psilocybin legalization initiative on the state's 2020 ballot. The measure doesn't call for legal recreational use, but would create a highly regulated system to allow use for medical purposes. Next door in California, a similar initiative aimed at 2018 would legalize magic mushrooms. Wisconsin Governor Approves Plan to Drug Test Welfare, Job Training Participants. Gov. Scott Walker (R) has approved a plan to implement drug screening for able-bodied adults participating in the FoodShare Employment and Training (FSET) program, sending the rule change measure to the State Legislature for review. The rule is part of the policy amendments included in 2015 Wisconsin Act 55. The legislature now has 120 days to review the measure. Once approved by the legislature, it will become effective the first day of the following month. Leading Mexican Presidential Candidate Suggests Amnesty for Drug Cartel Kingpins. Leading presidential contender Andres Manuel Lopez Obrador has caused controversy by suggesting that he is open to amnesty for drug cartel leaders as part of a dialog aimed at ending that violence that has seen an estimated 200,000 people killed in the last decade. "If it is necessary… we will talk about granting amnesty so long as the victims and their families are willing," he said. "We'll propose it. I'm analyzing it. What I can say is that we will leave no issue without discussion if it has to do with peace and tranquility." Lopez Obrador currently has a more than 10-point lead in presidential polls, and his foes in the political and business classes are trying to use the remarks against him. Marijuana decriminalization takes center stage in Virginia drug policy debates, Germany's Angela Merkel may agree to legalize marijuana in a bid to build a governing coalition, and more. Virginia Crime Commission Briefed on Marijuana Stats. The state Crime Commission was briefed Monday on the results of a months-long study examining the costs and consequences of marijuana arrests in the Old Dominion. The study found there were more than 133,000 pot possession arrests in the state in the past 10 years, but that relatively few people went to jail for it in the state. 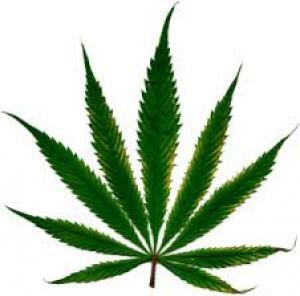 The study was prompted by a proposal to decriminalize the possession of small amounts of marijuana. Virginia Senate Majority Leader Will File Decriminalization Bill. State Senate Majority Leader Tommy Norment (R) said Monday he plans to file a bill that would decriminalize small-time pot possession for first offenders. Norment said the bill is still being drafted, but would make first-time possession a civil offense punishable by a fine, mandatory education, and a drivers' license suspension. 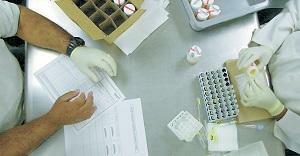 West Virginia Welfare Drug Testing Program Gets Underway. Under a program that took effect last week, state residents who apply for welfare must now undergo a drug screen questionnaire, with those whose responses are deemed suspicious required to take and pass a drug test. People who fail a drug test will be required to undergo drug treatment at their own expense -- while being denied funds that could help pay for it. 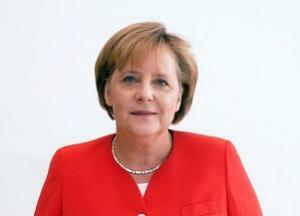 Germany's Merkel May Agree to Marijuana Legalization as Part of Coalition Deal. 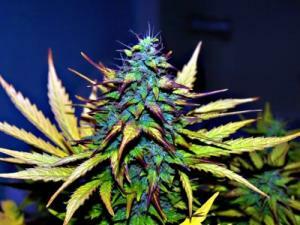 Reports from German media suggest that Prime Minister Angela Merkel's Christian Democratic Union Party may agree to support marijuana legalization as part of an effort to form a coalition government with two parties that want to free the weed, the Free Democrats and the Greens. Marijuana policy would be addressed at the end of coalition talks, the reports said. Stories pile up when you spend a week at the drug reform conference: Trump's choice for drug czar is out, the NFL endorses sentencing reform, California's governor signs a sentencing reform bill, and more. Mississippi Supreme Court Overturns Marijuana Conviction of Vehicle Passenger. The state Supreme Court last Thursday threw out the marijuana possession conviction of a car passenger, saying the mere fact that he was in the vehicle didn't mean he actually possessed the drug. Marvin Carver had been charged after the car his half-brother was driving was pulled over and marijuana was found. The half-brother said the marijuana was his, and prosecutors never proved that Carver knew about or intended to possess the pot, the court noted. New Hampshire Marijuana Study Group Holds First Meeting, No Legalizers Included. A commission charged with studying the potential impact of marijuana legalization is holding its first meeting today. Created by the legislature, the commission includes lawmakers and representatives of several state agencies, including banking, law enforcement, and the medical community. Of the legislators, several have voiced opposition to legalization and none are on record in support of it. Maine Legalizers Reject Legislative Rewrite of Marijuana Law. Legalize Maine, the group behind last year's successful legalization initiative, has come out against the proposed legislative rewrite of the law, saying it "isn't ready for prime time." The group strongly objects to bill language requiring localities to "opt in" to the legal marijuana business instead of having to "opt out." Such a provision will only create chaos and encourage the black market, the group says. Pennsylvania ACLU Report Finds Large Racial Disparities in Marijuana Arrests. In an analysis of 2016 arrest data, the ACLU found that black adults in the state were eight times more likely to be arrested for pot possession than whites. Marijuana arrests in the state have increased in recent years, and so has the racial disparity in arrests. It was less than six to one in 2011. The arrest figures don't include Philadelphia, which decriminalized in 2014 and saw arrests plummet 88%. But even in Philly, blacks were still three times more likely to be arrested for pot than whites. Pennsylvania Issues First Medical Marijuana Grow License. The state Department of Health has approved Cresco Yeltrah's 40,000-plus-square-foot indoor grow operation, making it the first medical marijuana grow in the state to be approved. The planting of seeds should commence shortly, with the first crop ready in about four months. Trump Drug Czar Nominee Withdraws in Wake of Report He Pushed Bill to Hinder DEA Opioid Pill Enforcement Efforts. Pennsylvania US Rep. Tom Marino (R), who President Trump nominated last month to head the Office of National Drug Control Policy (ONDCP -- the drug czar's office), has withdrawn his nomination in the wake of reports that he shepherded through Congress legislation lobbied for by drug companies and pharmaceutical chains that decreased the DEA's ability to stop suspect shipments of prescription opioids. Marino had come under fire from Democratic lawmakers after the report went public Sunday. McCaskill Will File Bill to Undo 2016 Law Marino Pushed. Sen. Claire McCaskill said Monday she would fill a bill to repeal the 2016 law Rep. Marino shepherded through Congress at the behest of deep-pocketed drug companies and pharmaceutical chains. Wisconsin Moves a Step Closer to Drug Testing Food Stamp Recipients. The state Health Department announced last Friday that it has submitted its plans for the drug testing of food stamp recipients to the office of Gov. Scott Walker (R). Critics of the plan say it requires getting a waiver from the US Department of Agriculture, but the Walker administration disagrees. Look for a court challenge. Justice Department Announces First Ever Indictments Against Chinese Fentanyl Makers. The DOJ announced Tuesday that federal grand juries in Mississippi and North Dakota had returned indictments against two Chinese nationals and their US-based traffickers and distributors for separate conspiracies to peddle large quantities of fentanyl, fentanyl analogues, and other opioids in the United States. These are the first indictments returned against Chinese nationals for manufacturing and distributing fentanyl destined for the US. Florida Man Wins Cash Settlement After Police Field Drug Test Mistook Sugar for Meth. In 2015, police arrested Daniel Rushing for meth possession after they mistook glaze from a Krispy Kreme donut for methamphetamine. Rushing was held in jail for 10 hours before bonding out. The charges were dropped when subsequent tests showed the substance was indeed glazed sugar. Last week, the city of Orlando agreed to pay him $37,500 to settle his wrongful arrest lawsuit. 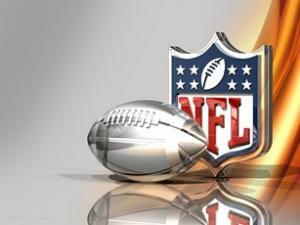 In Midst of National Anthem Controversy, NFL Endorses Federal Sentencing Reform Bill. In a letter sent Monday to leading senators, the National Football League offered "full support" for the Sentencing Reform and Corrections Act (S. 1917). "Over the last two seasons, one particular issue that has come to the forefront for our players and our teams is the issue of justice for all," the league noted, obliquely addressing the controversy surrounding NFL players kneeling during the national anthem to protest racial inequality in the criminal justice system, while at the same time supporting progressive sentencing reform. California Governor Signs Major Drug Sentencing Reform. Last Thursday, Gov. Jerry Brown signed into law Senate Bill 180, authored by State Senators Holly Mitchell (D-Los Angeles) and Ricardo Lara (D-Long Beach). With his signature, Brown repealed a three-year sentence enhancement that added additional years to a sentence for prior drug convictions, such as drug sales and possession of drugs for sales. SB 180, the RISE (Repeal of Ineffective Sentencing Enhancements) Act, was part of Mitchell and Lara's Equity and Justice Package, bills intended to address racially biased sentencing. Massachusetts Takes Aim at Mandatory Minimums. State Senate leaders are rallying around a sentencing reform bill that would repeal mandatory minimum sentences for small-time drug offenses, lower probation fees, and up the threshold for felony larceny. Supporters of the proposal from Sen. William Brownberger (D-Belmont) rallied last Thursday to champion the bill, which the Senate should be taking up in the next few weeks. The DEA names an in-house acting administrator, the Massachusetts high court takes up the question of whether judges can order addicts to remain drug-free, Canada advances on looming marijuana legalization, and more. Alaska Towns Reject Marijuana Bans. Voters in Fairbanks and several towns on the Kenai Peninsula south of Anchorage rejected bans on commercial marijuana growing operations in local votes on Tuesday. The state legalized marijuana in 2014. 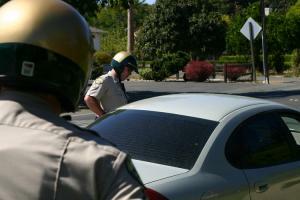 California Governor Signs Bill Making Smoking Pot While Motoring a $70 Ticket. Gov. Jerry Brown (D) on Monday signed into law a bill barring the use of marijuana or marijuana products while driving or riding in a motor vehicle. The maximum penalty is a $70 fine. But drivers who operate while impaired could still be nailed for that. Farm Bureau Endorses Federal Hemp Bill. The American Farm Bureau Federation has formally endorsed the Industrial Hemp Farming Act, House Resolution 3530, which would exclude industrial hemp from the Controlled Substances Act definition of marijuana. DEA Veteran Named Acting Administrator. The Justice Department has named veteran DEA official Robert Patterson as acting administrator of the agency. He has been DEA's principal deputy administrator since last November, where he oversaw all of the agency's enforcement, intelligence, administrative, and regulatory activities worldwide. He is the highest ranking career special agent at DEA. Massachusetts Court Ponders Whether Courts Can Require Addicts to Remain Drug-Free. The state's Supreme Judicial Court heard arguments Monday on whether judges can require people under their supervision who suffer from substance use disorder to remain drug-free. The case involves a woman who was sent to jail for failing a drug test while on probation for a larceny charge, but has large implications for how judges in the state deal with drug-using defendants. A decision in the case is expected around year's end. Canadian Prime Minister Proposes 10% Marijuana Excise Tax. Prime Minister Justin Trudeau has proposes an excise tax on retail marijuana sales of $1 for sales of up to $10, and 10% on sales over that amount. Provinces and territories would receive half the revenues under the proposal he made Tuesday, but some provinces argue that isn't enough. Trudeau responded that the details are still open to negotiation. Alberta Proposes Minimum Age of 18 for Pot Use. The Alberta provincial government's draft plan for marijuana legalization sets the minimum age at 18. The province says it hasn't yet decided on whether to have government-run or private sales. The draft proposal also includes provisions for use in public areas where smoking is allowed and sets a public possession limit of 30 grams.